2019 Rance R Willis Planner Development NEC Scholarship Applications are now being accepted. June 25-27, 2019, Detroit Marriott at the Renaissance Center. Conference registration pricings remain the same as 2018. SGMP Names 2018 Distinguished Award Winners Recognizing Achievements in Government Meetings Industry. Check out all the photos from the 2018 NEC in Norfolk, VA.
for the 37th annual SGMP National Education Conference - to be held in Detroit, MI, June 25-27, 2019. The survey link below serves as the speaker application. Submissions must be received no later than 5pm Eastern time on Friday, August 17, 2018. Nominate a future leader for the prestigious distinction of one of the Top 37 under 37 in the Government Meeting Industry!! For more info click here. Sam Gilmer Planner of Year and Supplier of the Year Nominations are now being accepted. Click below for the nomination forms. Nominations can be sent to membership@sgmp.org and are due by 3/30/18, 5:00pm EST. SGMP National Board appoints Chele Clark, CGMP to Gilmer Trustees. 2017 State of Society as presented at the 2017 NEC by President Michelle Milligan, CGMP. Many of the Presentations from the 2017 NEC are posted here. These presentations are read only and may not be used for presentation. Additional presentations will be posted as they are received. You must be logged into your SGMP membership account to access these files. The updated CGMP Manual is available for purchase. The price is $95 and includes shipping. Contact Garland Preddy, CGMP, garland.preddy@sgmp.org for more information. The Society of Government Meeting Professionals is looking for leaders to serve on the national board of directors! Nominations are now being accepted for all eight elected positions on the 2017-2019 National Board of Directors. Any member may nominate himself/herself or another member for a position. Please note all nominees must complete and submit the nominee information sheet by 5:00 pm Eastern time on Friday, January 27, 2017. Click links below for the Nomination Packet items. Click links below for the SGMP Nominations and Elections Policies. The installation ceremony of the incoming national board will take place during the National Education Conference at the Sam Gilmer Awards Banquet on Wednesday, June 7, 2017, in Fort Lauderdale, FL. GSA annouces FY2017 Per Diem Rates. Rates do not go into effect until October 1. 2016 Visit GSA.gov for all the details. The National Board is looking for a few good SGMP members, you are one of them. Please take the survey below by 9/30/16 to volunteer for a committee or task force. Did you attend MEET National? CGMP members can earn 6 contact hours by attending 3 of the 4 SGMP sponsored education sessions plus 3 other educational sessions during the 2-day event. You must complete the document sheet attached and submit with your CGMP recertification application. The SGMP sponsored education sessions are listed on the form. THE 2016 STATE OF THE SOCIETY ADDRESS WAS PRESENTED AT THE NEC IN SAN DIEGO. The presentation was delivered by national first vice president Michelle Milligan, MSW, LMSW, CGMP. SGMP IS PROUD TO RECOGNIZE ALL OF THIS YEAR'S ANNUAL INDIVIDUAL AND CHAPTER AWARD RECIPIENTS as announced at the 2016 NEC. "Congratulations!" to 2016 Sam Gilmer Planner of the Year Ethel Crisp, CMP, Ph.D., and to all of our recipients in San Diego! 2016 NATIONAL EDUCATION CONFERENCE WEBSITE AT WWW.SGMPNEC.ORG provides a summary of everything from the 34th annual NEC that was held in San Diego. 2016 CGMP CONGRESS WAS A GREAT SUCCESS. Here’s what one attendee said: “Thanks for an awesome conference. This by far was the best training I’ve been to in some time. I couldn't have been more happy with the speakers, sessions, networking, participants and hotel and have been bragging to my boss and others about all I learned.” Click here to see the schedule and here to see a list of the speakers. CONGRATULATIONS! Gilmer Institute of Learning trustee election results are now available. SGMP RECOGNIZES GILMER-FOUNDERS DAY WITH MESSAGE FROM THE PRESIDENT: Take a look here for an update on Society priorities. SGMP NAMES MEMBERS TO BLUE RIBBON TASK FORCE, which will be addressing and enhancing our Society's membership experience. Click here to learn more about task force members. GOVERNMENT PER DIEM TRAVEL RATES INCREASED in fiscal 2016. Read more here. Three new Gilmer trustees were appointed this spring and summer. Click here for information about the appointment of Alex Litchtenstein, CMP, CGMP, and here for the appointments of Mark Richardson, CGMP, and Patty Barron, CGMP. “Despite tough circumstances—including pay freezes, budget cuts, sequestration and a political climate that too often does not sufficiently value their work—these exceptional leaders continue to make real the fundamental truth that people who love their country can change it,” President Obama said. “My administration,” he also said, “is advancing efforts to train and develop the next generation of civil servants.” You can read the entire proclamation here. Check out SGMP's recent social media postings in support of NAMID. George Washington is the official spokesperson of SGMP's 2015 NEC & Expo. Meet GEORGE! here. After a front page story in The Washington Post, SGMP sent this letter in support of government meeting professionals. The Post added a follow-up story the next day. Congratulations to the newly-elected members of the 2015-2017 SGMP national board of directors! The list of incoming board members is included in this press release and you can click here to view their profiles. Hyatt Hotels hosted nearly 40 SGMP planner members on Jan 20th to a day of education and networking. Members gathered at the Hyatt Regency Crystal City and engaged in education regarding the federal bid process, protocol, event insurance and ethics. This is the second education day sponsored by Hyatt thus far. 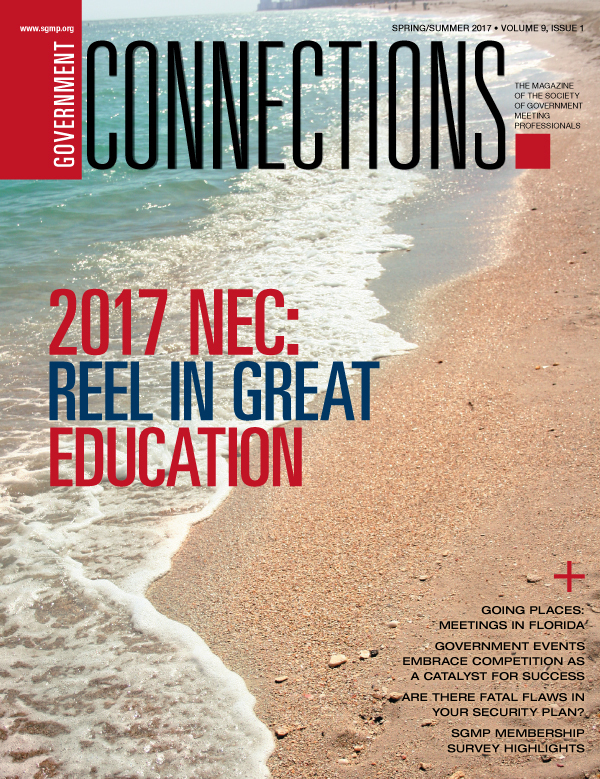 The 2017 NEC & Expo will be held in Fort Lauderdale, Florida, on June 6-8, 2017, at the Broward County Convention Center. More details available here. The Rance R. Willis Planner Development Scholarship provided funding for SGMP members to attend the 2015 NEC & Expo in Minneapolis, MN. Read more about this year's participants here. The 2016 NEC & Expo will be held in San Diego, California, on May 17-19, 2016, at the Town and Country Resort & Convention Center. More details can be found here. SGMP presents the potential impacts on government meetings and our members going forward. We will keep our members informed of other important post-election updates. Check out SGMP's new and improved website, as well as the member portal. Go to www.sgmp.org and click on Member Login on this page. Your new username is the primary email address we have on file, and your new and temporary password is Password1. Once you login, create a new password. 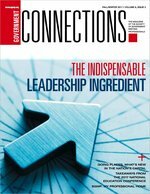 Click here to find the latest edition of Government Connections, as well as archived editions.